Situated in one of the most desirable locations in South Orange County, the Monarch Beach homes in Dana Point are beach close, luxurious, in gated communities and with ease of access to the 5 Freeway and PCH. 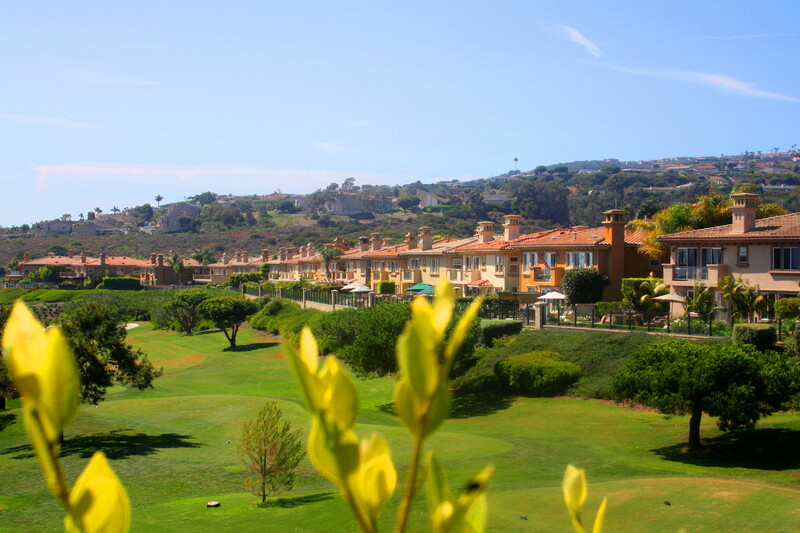 The Monarch Beach neighborhoods enjoy the beautiful views of the Links golf course, ocean views from Salt Creek Beach and miles of walking, hiking and biking trails within its communities. The Monarch Beach Real Estate market is also known for their location close to the famous Ritz Carlton Laguna Niguel (which is actually located in Dana Point), St Regis Resort and Montage Resort. Neighborhoods in Monarch Beach are within walking distance from Salt Creek Beach and Sea Terrace Park, and a short drive to Dana Point Harbor or Laguna Beach. Search all Monarch Beach Homes available for sale today, or follow the link to read more about the Monarch Beach Real Estate market. Or, if you would like to see more options in Dana Point, visit our Dana Point Real Estate page. Monarch Beach was named after the rolling hills of 'Monarch Bay' where the Monarch Butterfly used to be seen in large masses. Their habitat has been replaced since with the homes of the Monarch Beach neighborhoods. Monarch Beach home owners enjoy top-rated competitive public schools, depending on the exact location schools serving the area are RH Dana and Malcolm for Elementary and Dana High, for High School. The Monarch Beach area is known for being luxurious, but also the pools, the trails, the tennis courts and other facilities in the area encourage the outdoor and healthy living, which make it a popular choice for retirees or families. The Links -an 18 hole golf course designed by Robert Trent Jones Jr that surrounds Monarch Beach is considered to be one of the best golf courses not only in Orange County, but in Southern California. One interesting and desirable factor about Monarch Beach is that all of the neighborhoods are gated, and the trails interconnecting them are very popular because of the easy access from them to Salt Creek Beach, which hosts several activities thoroughout the year. Luxury homes in Monarch Beach include the ones at 'Ritz Cove Estates', which are located on the ocean side of Pacific Coast Highway and Monarch Bay ,with its gate righ on PCH. The homes located at Ritz Pointe are also very popular, with spectacular views of the Pacific Ocean and the easy access to the Links Golf Course. There's also condo communities in Monarch Beach and the homes in Niguel Shores neighborhood are part of the beautiful Monarch Beach area. Looking for specific Monarch Beach Neighborhoods? Monarch Beach offers a home for every taste, with 12 neighborhoods to choose from. Cape Cove Homes - This is a small, private, gated community with tennis courts. These cape cod style attached townhouses offer an ideal location with a great price tag, making it one of the most affordable neighborhoods just across PCH. From there, is a easy walk down a newly built trail to the Strands Beach entrance of Pacific Coast Highway and Selva St.
Emerald Ridge Homes - Emerald Ridge is a 24hour guard gated community of beach-close custom homes with large lots. Emerald Ridge is a very quiet community in Monarch Beach, yet it's just minutes to beaches, restaurants, golf, shopping and restaurants, and sits close to South Laguna. Monarch Bay Homes - Monarch Bay is an oceanfront gated community in Monarch Beach, off Pacific Coast Highway, with 214 custom homes. Home owners enjoy private tennis courts and recreation area and the Monarch Bay association includes a private beach club for residents. Monarch Bay is adjacent to Laguna Beach and its numerous beaches and amenities. Monarch Bay Terrace - As the name implies it, the beach close neighborhood of Monarch Bay Terrace in Monarch Beach offers custom homes built terraced up the hillside, so they get amazing coastline views, with the advantage of also having exceptional larger lots. Most of the homes are also known for bringing the sorrounding natural escapes into the homes. Monarch Bay Terrace home owners enjoy the nearby beaches, shops, restaurants in Dana Point as well as the ones in the nearby city of Laguna Beach. Monarch Bay Villas - The beach close gated community of Monarch Bay Villas in Monarch Beach feature pool, spa, sauna, game room, gym, barbeque, and clubhouse amenities. 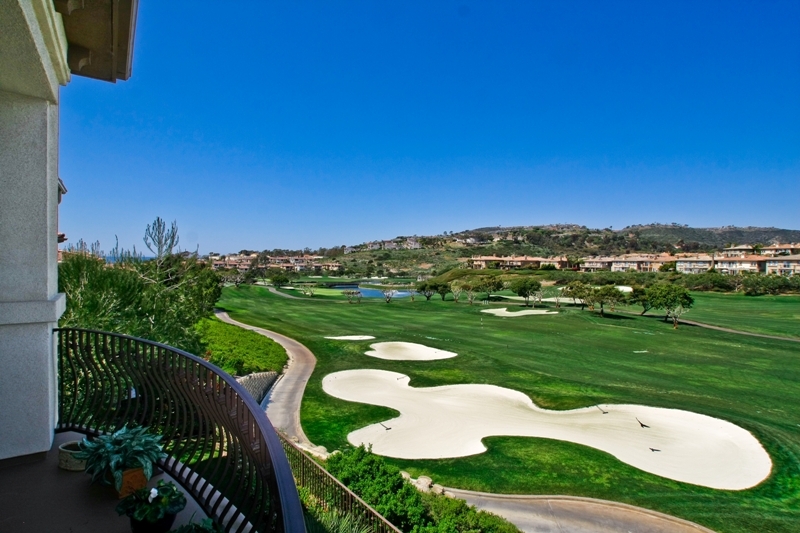 They are located within walking distance to Monarch Bay Plaza and like many of Monarch Beach other luxury communities, it also offers ocean and golf course views. Monarch Beach Guard Gated - This guard gated neighbordhood in Monarch Beach consists of sub areas of homes, which gated entrance is located across from the St Regis resort, and surround The Links at Monarch Beach golf course. 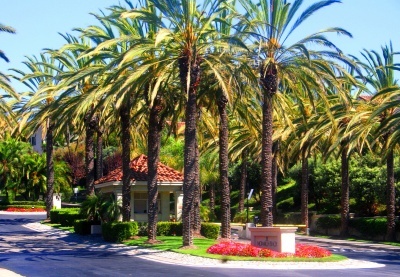 Communities in this neighborhood include Antigua, Estates at Monarch Beach, Marquesa, Montego and The Villas at Monarch Beach. Monarch Beach Guard Gated homes feature ocean, Catalina Island and golf course views. Walk to the St. Regis and Ritz Carlton resorts and Monarch Beach Golf Links and enjoy the incredible sunsets that can be seen from the hillside. Niguel Shores Homes - Niguel Shores at Monarch Beach is a 24-hour guard gated neighborhood, with a newly renovated clubhouse, gardens, pool and spa. This neighborhood includes trails to Strands beach, and 'The Bluff', which is an oceanfront view park with private parking lot and private beach access. Niguel Shores is composed of 7 communities with a wide variety of homes. They include Niguel Shores Villas, Niguel Shores Garden homes, Niguel Shores custom homes, Sea terrace Town homes, Niguel Shores Terrace, and Broadmoor. Some of the finest Dana Point beach front homes are located within this neighborhood. Point Monarch Homes - Point Monarch homes in Monarch Beach are located on The Links golf course adjacent to the St. Regis hotel. These 45 homes were finished with luxury and special features and have amazing ocean and gold course views due to their location. Within walking distance to the St Regis Resort, or Salt Creek Beach, these homes are a California dream. Regatta - Regatta in Monarch Beach offers a resort style living with walking distance to the beach: it's a short five minute walk to Strands Beach directly across PCH. A gated community, right next to the Cape Cove community, the neighborhood also offers association pool and spa facilities and quiet streets. Due to their location, many Regatta properties have ocean, harbor, Catalina Island and white water views. Ritz Cove Homes - The Ritz Cove neighborhood of Dana Point is located in the northern side of the Ritz Carlton Laguna Niguel ( which should be 'Monarch Beach' as it is located in Dana Point). Salt Creek beach is the backyard for these custom estates.The Italian and Mediterranean inspired custom estates offer spectacular white water, Catalina Island, ocean, city lights, coastline, golf course and panoramic views. Overlooking the oceanfront fairways of The Links Golf Course, Ritz Cove is a private, guarded, double gated community which offers private gate to Salt Creek beach access and coastal walking paths and membership to the Monarch Bay Club restaurant and facilities. Ritz Pointe Homes - Ritz Pointe is a guard gated Monarch Beach community located close to the St Regis Resort and consists of newer homes (California Cortina, Corniche Sur Mer and Ritz Pointe Executive homes) and condos (Monarch Hills), all of them offer beautiful views of Monarch Beach and the Links Golf Course as well as close proximity to the Resorts and Salt Creek Beach. Homes here are also used for seasonal opportunities, make it also a great investment. Tennis Villas -Across from the St Regis Hotel and next to the Monarch Beach Gated communities, The Tennis Villas are condos within walking distance to Salt Creek Beach, parks and The Ritz Carlton. Enjoy the Tennis Villas resort lifestyle. Tennis Villas offers association pool, spa and clubhouse. A separate tennis club membership is available.